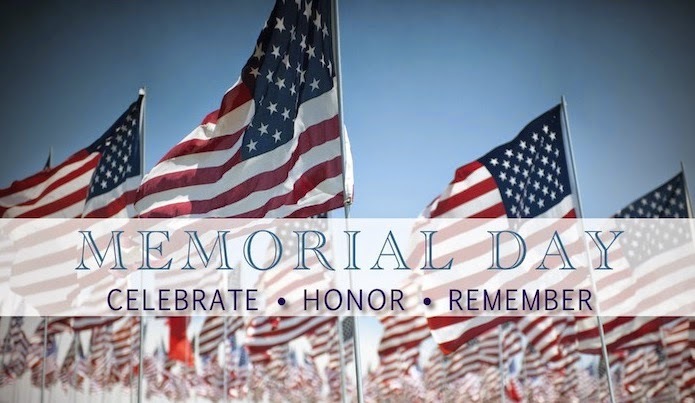 Memorial Day: A solemn day of celebration & remembrance of the many men and women who fought for our freedoms, rights, and American privileges. We are lucky to have had those people who dedicated their lives to us. 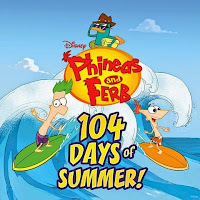 (Don't get me started on how we are only a mere matter of weeks away from the June 12th, series finale of possibly the greatest cartoon out there for old and young alike! 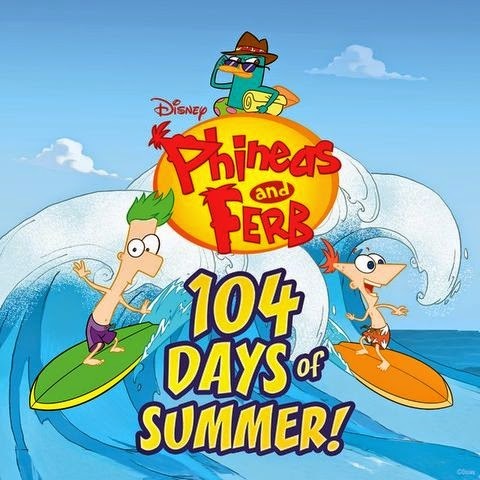 I'm not sure the world is ready for a world without Phineas & Ferb, but I digress). So you might not be building a roller coaster in your backyard, and your inner-Doufenshmirtz might not be planning the next -inator....but you might be more knee-deep in graduation season, grabbing a bathing suit for the first weekend of the pool opening, heading out camping, or planning a tasty BBQ. Invest in some stainless steel straws (check out our Mai Tai welcome to the weekend. I got mine from Amazon.com). 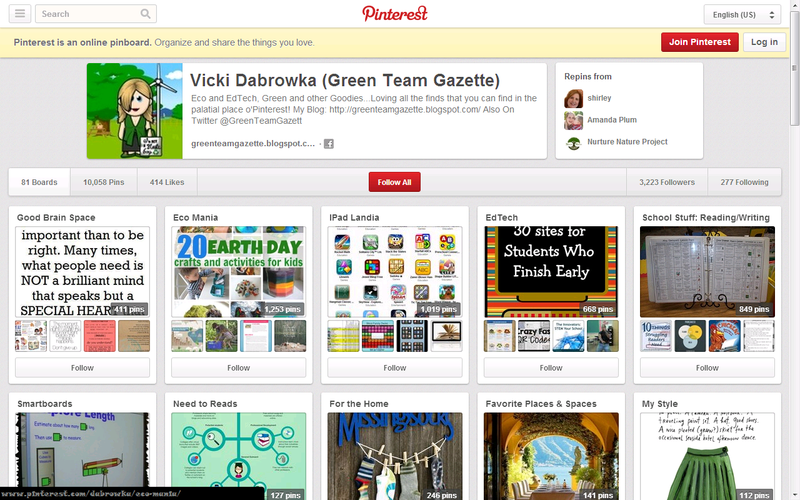 Go real & reusable versus paper or plastic (for plates, cups, cutlery, table cloths & more). Ditch the single serve sodas & waters. Especially if you are on your back patio, a pitcher of ice cold water, juice, or sun tea can be quite yummy. Make your kabobs with metal skewers, or invest in reusable mini ones to replace your wooden toothpicks. Use evites versus printed invitations. Do a beach or campsite clean-up while out and about on your ventures. Don't forget to set up your recycling center for anything you may need. Definitely keep it trash-free if you must branch outside of glass & stainless steel/real! Compost your leftovers and food scraps. Think outside the box, be creative, and come up with your own eco-friendly ways to go about having a zero-waste celebration. 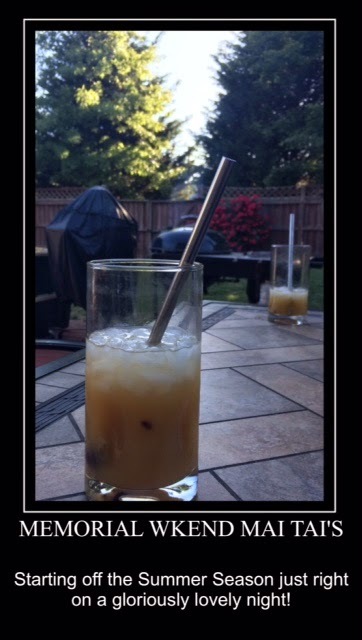 Mai Tai pic taken from my back yard, and put in the Motivational Poster app--complete with reusable stainless steel straw.